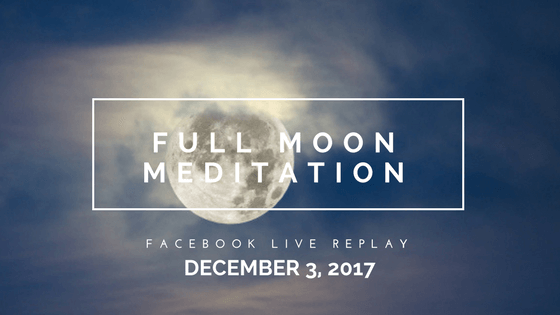 Last night we gathered together live on Facebook for a virtual Womb Blessing circle to receive the energies from Miranda Gray’s Worldwide Womb Blessing under the final full moon of 2017 — which just happened to also be a supermoon, as well as the start of Mercury Retrograde. Our circle was part of over 165,000 women worldwide who came together to receive this special healing transmission from Miranda. Did you miss it? Fortunately, the Womb Blessing energy is still strong and so is this powerful Full Cold Moon — so you still have time to take advantage of this potent celestial period. Harness the energy of Mercury Retrograde and the light of this final moon of 2017 to ask, What mental blocks and thought patterns do I need to release in order to move forward with a fresh perspective?